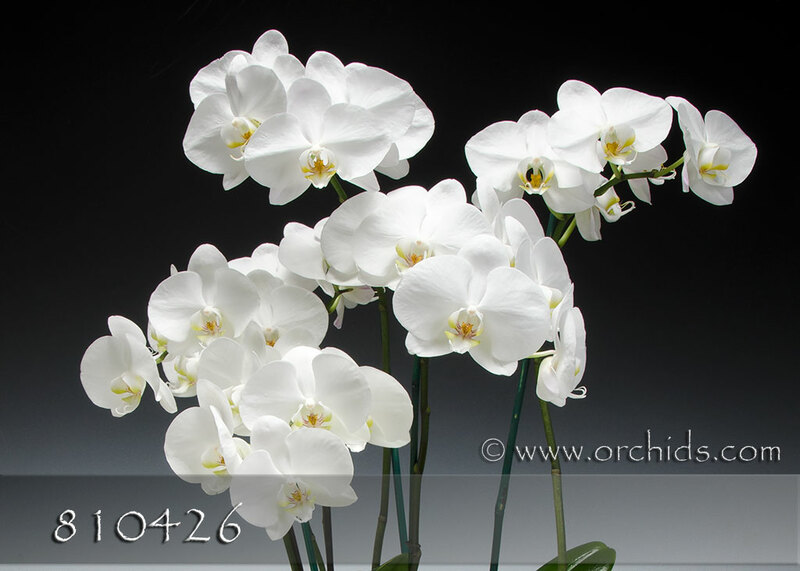 What could be more classic than the elegant simplicity of pristine white Phalaenopsis! 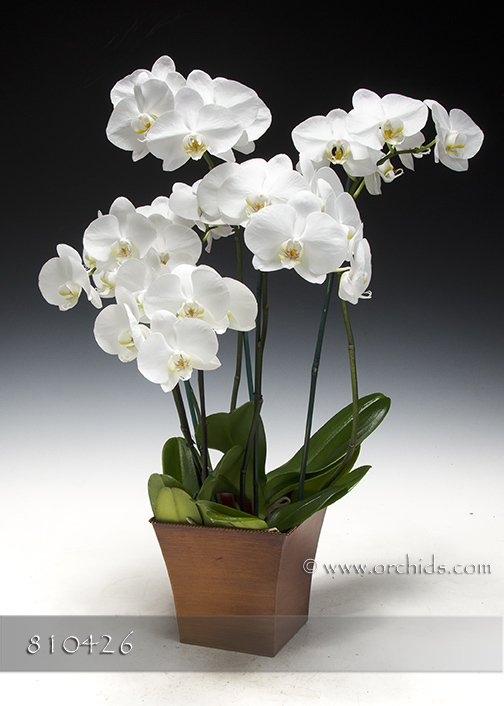 Gently exploding from our Euro cachepot, these stunning white Phalaenopsis will accent any décor with their elegance and classically timeless beauty. Hand-selected for their perfect presentation and arranged to perfection by our designers, they need no further adornment to enhance their classic elegance. Standing 30” in height, this Gift Combo, arriving in our Euro cachepot and finished with a soft bed of jade Spanish moss, is the ideal gift for anyone on your gift list.